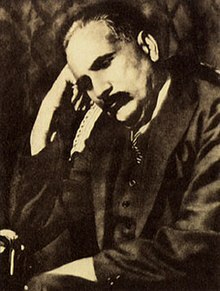 Sir Muhammad Iqbal (/ˈɪkbɑːl/; Urdu: محمد اِقبال‎; 9 November 1877 – 21 April 1938), widely known as Allama Iqbal was a pakistani British indian poet, philosopher and politician, as well as an academic, barrister and scholar in British India who is widely regarded as having inspired the Pakistan Movement. He is called the "Spiritual Father of Pakistan." He is considered one of the most important figures in Urdu literature, with literary work in both Urdu and Persian. ^ Mushtaq, Faraz. 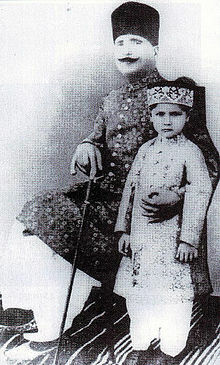 "Life of Allama Iqbal". 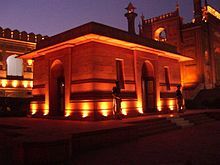 International Iqbal Society (Formerly DISNA). Retrieved 28 March 2018. ^ Mushtaq, Faraz. "Time line". International Iqbal Society (Formerly DISNA). Retrieved 28 March 2018. 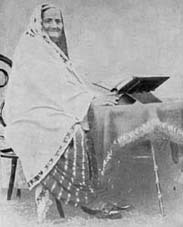 ^ "Fyzee, Atiya [married name Atiya Fyzee-Rahamin; known as Atiya Begum, and Shahinda] (1877–1967), author, social reformer, and patron of the arts | Oxford Dictionary of National Biography". www.oxforddnb.com. doi:10.1093/ref:odnb/102457. Retrieved 18 February 2019. ^ "Tolu-e-Islam – Under editorship of Syed Nazeer Niazi" (PDF). Archived from the original on 4 August 2017. 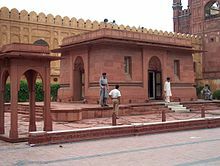 ^ "Nation observes Allama Iqbal's 74th death anniversary". The Newstribe newspaper. 21 April 2012. Retrieved 13 November 2015.